WASHINGTON – Phoenix fell from third to fifth place among cities for total installed solar capacity last year, slowed by charges imposed on Arizona solar users at time when other cities surged ahead with new installation. That was the finding of the annual “Shining Cities” report by Environment America, which ranks the 20 cities with the largest installed photovoltaic solar capacity – the total amount of energy generated if all a city’s solar panels were operating at 100 percent efficiency. The report, released Tuesday, said that states like California, with net metering policies and a 50 percent renewable energy commitment, saw significant growth in solar capacity last year. Phoenix, meanwhile, experienced demand charges and changes to its net metering rules. Net metering allows solar system owners to get credits at the retail rate for excess electricity they put back on the grid – a strong incentive for solar, advocates say. Reductions to net metering in states like Arizona is “the main policy that drops rooftop and residential solar,” said Bret Fanshaw, solar program coordinator for Environment America. Phoenix still saw gains in its solar capacity last year, going from 147 megawatts of installed photovoltaic capacity at the end of 2015 to a total of 165 megawatts by the end of 2016, enough capacity to power about 24,000 homes. But that 12 percent increase lagged well behind the growth of 56 percent nationally. The report said U.S. installed capacity went from 27 gigawatts to 42 gigawatts over the same period, enough to power 8.3 million homes and cut carbon dioxide emissions by 52.3 million metric tons annually. Despite covering just 0.1 percent of the country’s land, the top 20 cities accounted for almost 5 percent of total U.S. solar PV capacity, the report said. Fanshaw did credit the city of Phoenix for being active in the promotion of solar and offering programs that encourage residents by making it easier to finance solar installation. Utilities like Arizona Public Service praised the city for being one of the top five cities for the past four years, and said they are making investments to continue the growth of solar statewide. 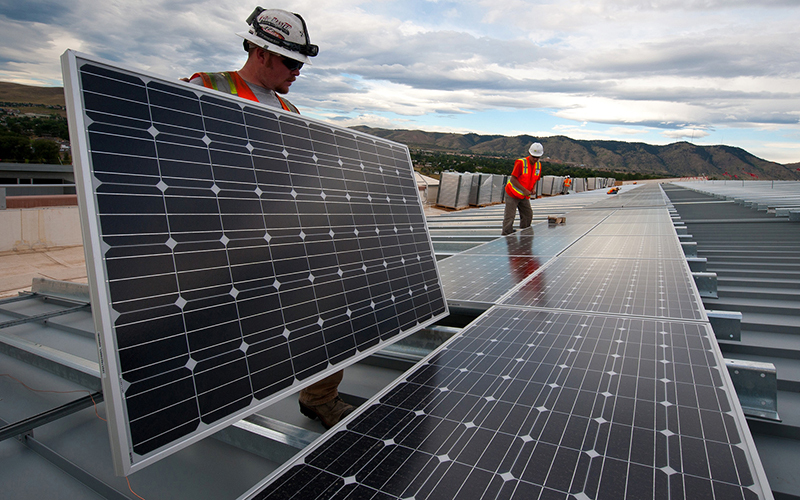 “We’ve invested more than $2 billion in solar deployment and research to provide a cleaner energy future for Arizona. And, with more than 300 days of sunshine per year, we know how important solar is to our customers and to our state,” Degraw said. But while APS said it plans to help provide a clean energy future in Arizona, solar advocates said the utilities are pushing policies that are not helping. 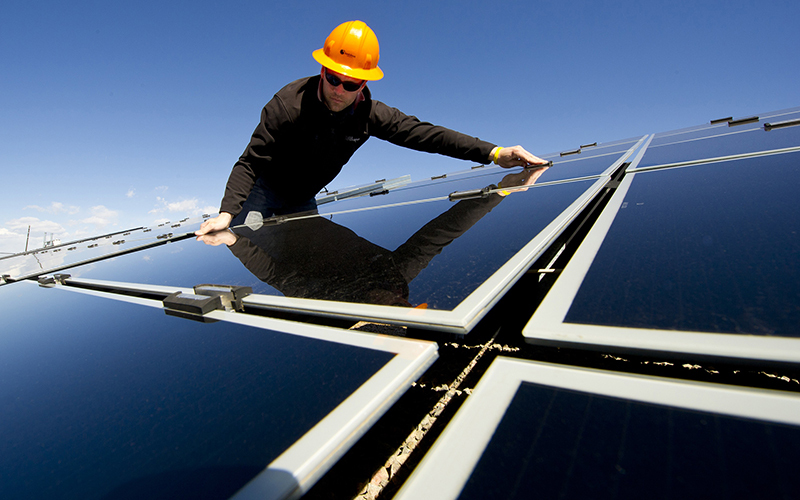 “We’re definitely in the opinion that Arizona has not been, in recent years, a model for solar policy, especially when we look at other states who are moving forward and reaching job growth and continue to move up in those spots,” said Kelly Trombley, public policy manager at Sunrun, a solar installation company in the state.